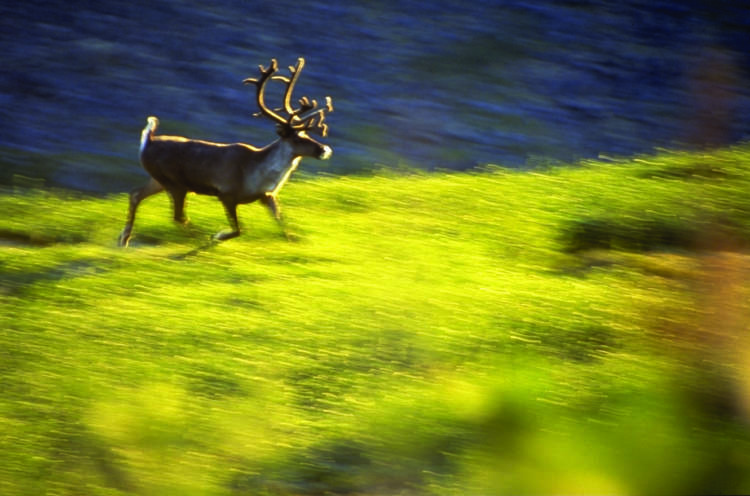 Take action to protect mountain caribou habitat today! Send a message to Environment Minister Catherine McKenna asking her to protect all critical mountain caribou habitat, before it’s too late. Mountain caribou are one of the most endangered mammals in North America. All of the world’s remaining mountain caribou live in the mountains of British Columbia and Alberta and parts of Washington and Idaho. The globally unique mountain caribou is a variety of woodland caribou that has adapted to the special conditions of BC’s wet, mountainous forests. Mountain caribou migrate up and down the mountainsides, from the valley floors in spring and fall to the high forests in winter and summer. In winter, when other food is buried, they stand with large snowshoe-like feet on top of the snow to feed on the lichens that grow on branches and canopies of old-growth trees. Mountain caribou require unbroken tracts of old-growth forest for food and for security from predators. Because of this tight link, mountain caribou are considered indicators of the ecological integrity of these old-growth forests. Southern mountain caribou numbers in BC’s interior temperate rainforest have been steadily declining, from approximately 2200 in the late 1990s to approximately 1200 today, mostly due to human-caused habitat changes. What may have once been a single, large mountain caribou population is today fragmented into as many as 18 subpopulations with little or no interaction. We know that small, disconnected populations are much more prone to extinction. The current number of individuals in our locals southern herds are devastating three in the South Selkirks and four in the South Purcells. We represented the mountain caribou in the federal courts in 2012. Part of a larger Species at Risk Act case, the courts ruled that the federal government was not doing enough to protect at risk species like the mountain caribou and ruled that they must do more. The Mountain Caribou Recovery Team continues to work towards recovery for this magical creature. Find out more by reading the Mountain Caribou Information Booklet.